Registration is open to degreed or credentialed healthcare professionals and students in nutrition degree programs only. Contact Us for training options for other healthcare providers or wellness or fitness professionals. Student/intern, group, IFMNT alumni student and military discounts available, learn more here. Dates: Wednesdays, May 15th – July 10 (no class July 3rd). This class is a pre-requisite for our Certificate of Training Course. * Pre-requisite: Foundations in IFMNT, Opt-out exam available – contact us for more info. 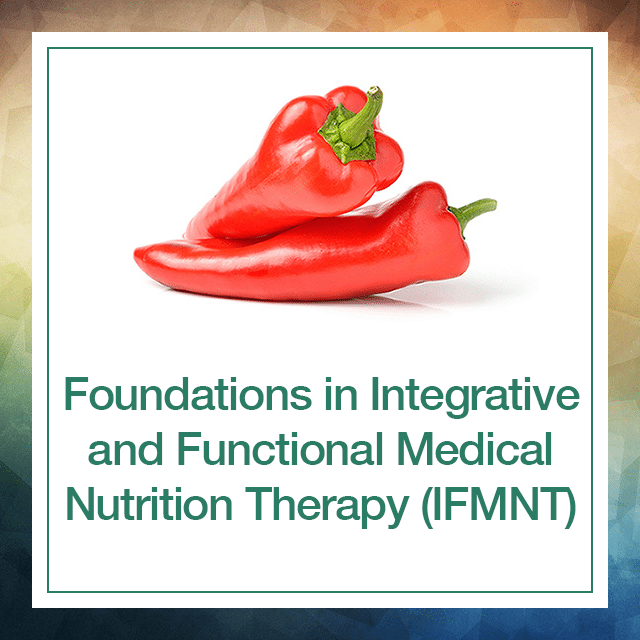 Advanced Topics in Integrative and Functional Medical Nutrition Therapy (IFMNT) – Earn the FMN Credential! This course only offered once a year – Join in now! This course available pre-recorded for on-demand learning. * Pre-requisite: Must have completed at least 3/4 of our Certificate of Training course. 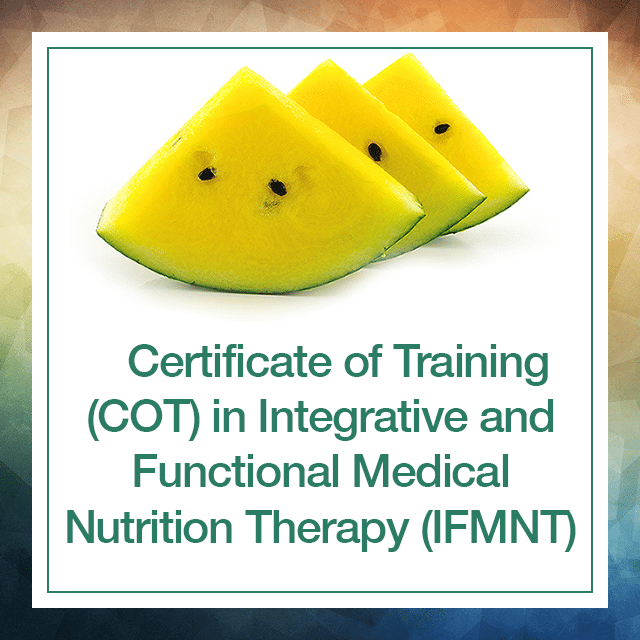 Combo Course Discount will be available with Advanced IFMNT registration. After registering, you’ll have 90 days to request access to this course. Recording access extends for 90 days from access date. All slides/handouts are yours to keep indefinitely. Purchase separately or as an add-on to your training – Get guidance on complex cases or business/career development, and/or marketing ideas. Six months to use. No refunds. NEW: RDN’s now earn CPE for mentor sessions! Newly expanded! 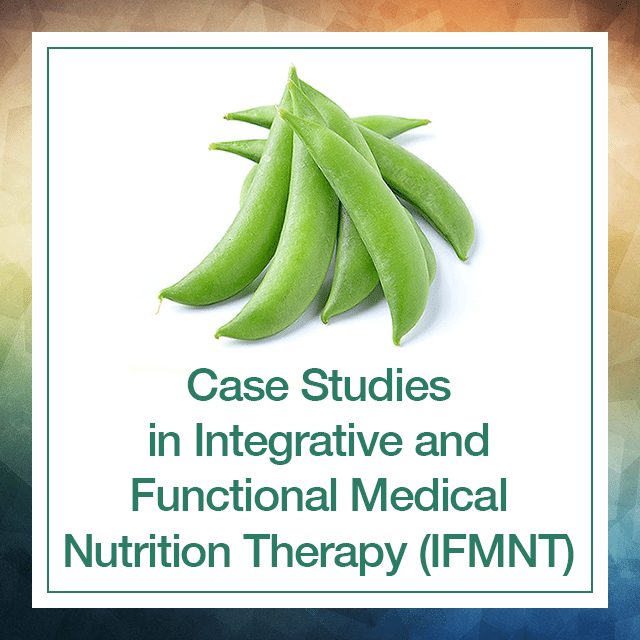 Now ten, 2-hr live interactive webinar presentations, split between two courses, Culinary Essentials and Culinary Biochemistry and Nutrition Translation for Advanced Practitioners. 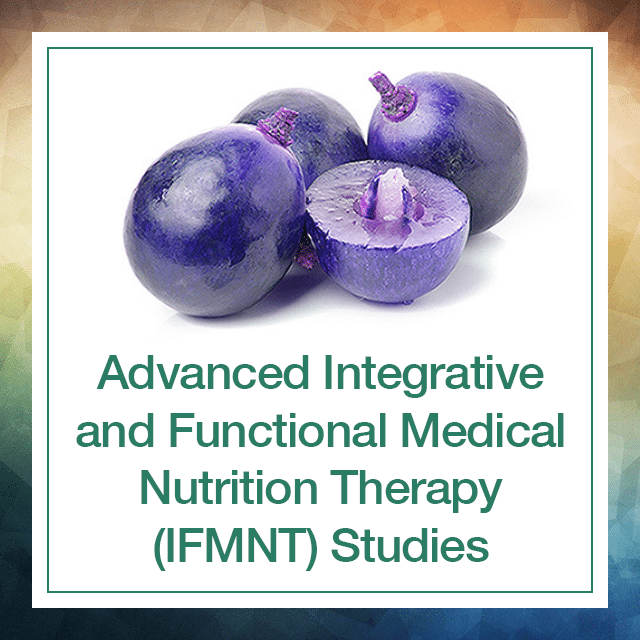 Previously only offered to Next Level training students – Now open to anyone with IFMNT interest or experience! This is culinary like you’ve never known before. More than just cooking techniques/recipes, this program incorporates the basics and advanced application giving you the tools to fully translate IFMNT recommendations to your client’s plate. A must for the most successful outcomes! Cost $227– Save 10% with NLFN Membership, register here. 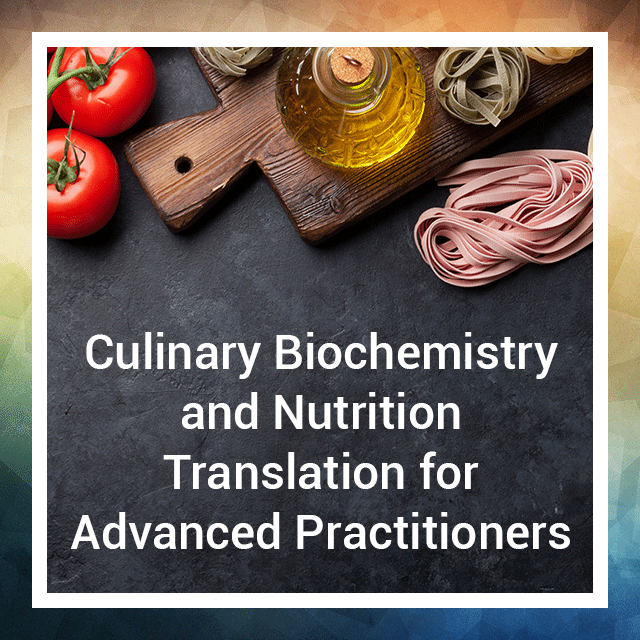 Combine this registration with Culinary Biochemistry and Nutritional Translation series to receive an additional discount! 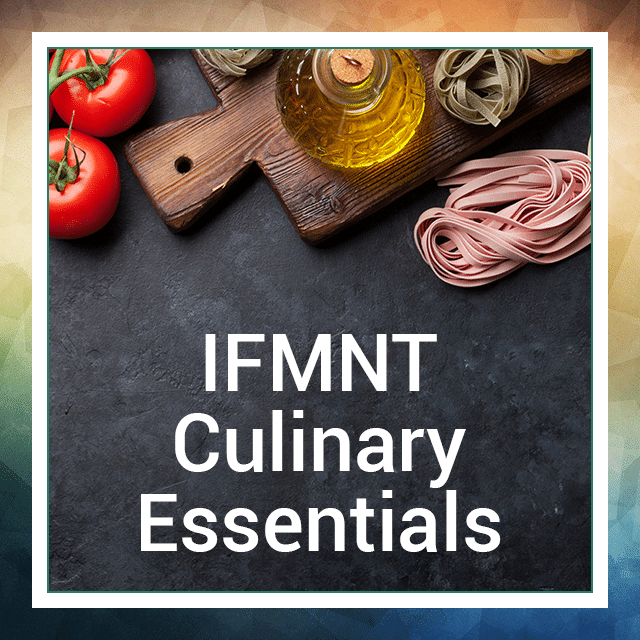 Note: The 4-session culinary Essentials is now included in the IFMNT Certificate of Training course. (Separate registration is not required) – Also may be taken as separate stand-alone course. Cost $449 – Save 10% with NLFN Membership, register here. 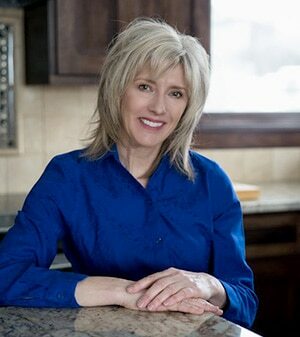 Combine this registration with Culinary Essentials and receive an additional discount! 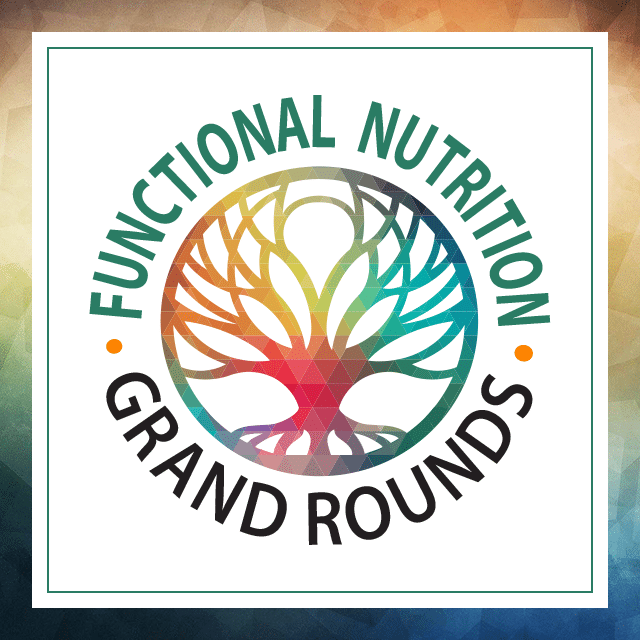 Graduates/interns: Graduates with a nutrition degree and/or interns qualify to enter the IFMNT Certificate of Training course and qualify to receive an additional 10% off above the NLFN Membership discount. Must have a membership and be logged in as a member when registering for courses. Must provide proof of status as a current full-time student or intern. Group Discount: Groups of 5 or more from the same institution or practice receive an additional 5% off – One payment must cover all applicants. This can be in addition to the 10% member discount. IFMNT Alumni students: Repeat a training course to get all the new updated and expanded content – Request our IFMNT alumni registration form with very special savings just for Alumni students! Military: VA dietitians and any clinicians serving in the military are eligible to receive a 10% discount towards training programs, and this discount may be used in tandem with the 10% NLFN Member discount.